Elkagorasa the Casual: Blizzard, can you give me some more LFR options?? Blizzard, can you give me some more LFR options?? So, I was going through my Armory profile and was thinking back to why I hadn't finished some of the Cata raids. Sure, the Deathwing fight was odd and quirky, but I would like to say that I completed it. Sadly, at level, I couldn't ever see the first fights. 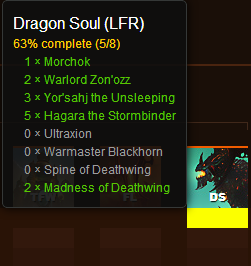 OK, I landed at Ultraxion once, but due to it being first week of release, LFR failed miserably. After that first attempt, I never landed in any other fight than the hoping, madness fight. Blizzard, with the new "Flexible Raiding" proposed in 5.4 (at least last I heard), how about opening up some older raid content. No, wait, that's not really what I am thinking. I know, I can already pre-make a group and run older content, if I get myself to the entrance, blah blah blah. 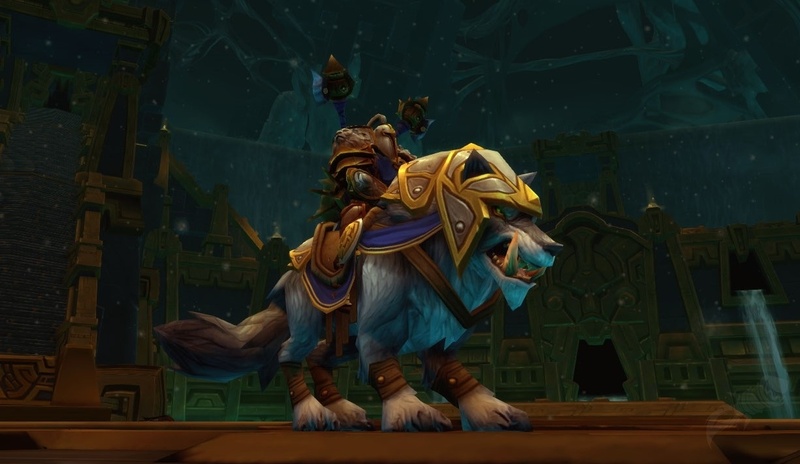 LFR priority option - "first available or entire raid only?" I'd like to make this option changeable where I don't need to re-queue (and wait a new hour). Only want the valor, let me queue to fill any (first available) spot. If I want to see the raid, I'll queue to entire raid only. Tired of waiting, I'll drop into the first available spot. OR Alternate priority option - bring back the 'This raid group has 3 of the 4 bosses down. Do you want to join? (yes/ no - put me back in the queue)"
LFR challenge-mode raids - my gear level will be changed to match the raid age. Equalize my gear to match the what it would have been at that expansion/patch level. Sure, I'll be level 90, and have my 90 talents, but with level 85 stats on gear and health?? The boss can stay the same..
LFR flexible raiding - opposite of challenge mode where my gear scales down, the raid scales up to 90. This may be 'easier' to balance for the users. Instead of Deathwing having 82 million health; he'd have 300 million health like Lei Shen. (Of course, his damage would be increased 4x as well to match health). Speaking of opening up more content, whatever happened to seeing the scenarios of the opposing faction? Sure, I don't do a ton of scenarios, but checking out my list available, I don't see anything new. Alliance Threamore? Nope. Maybe they realized that there aren't that many worth it? Lastly, the holiday boss, what a disappointment. After 40 minutes in the queue, he drops only 480 ilevel capes, a staff, and a satchel POSSIBLY containing a pet. Sure, my priest is still wearing her 480 Love neck and this back would be a great upgrade, but with level 522 gear out?! Sigh, not going to draw a lot of players in.. I didn't figure the cloaks would be 522 but I was kinda hoping for 502s at least. Most of my alts have better than a 480. I also have the pet and don't care much for the staff as a mog. Agreed, his rewards are ONLY viable for level 89 and freshly minted 90s.